The city is looking to add a fresh water amendment to the 2013 Avalon General Plan. 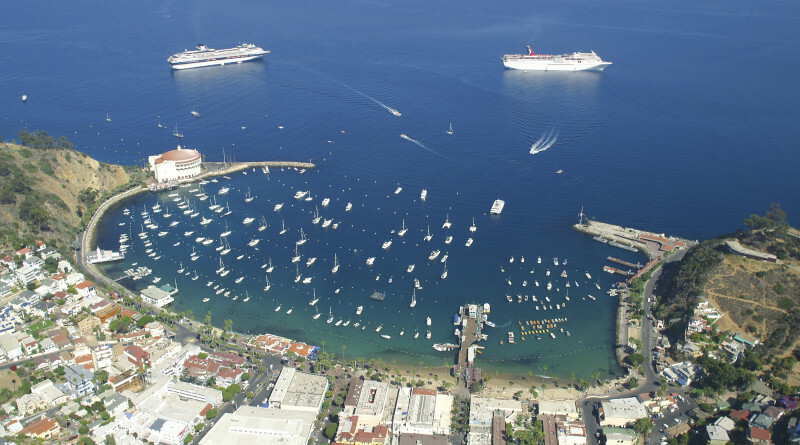 AVALON ― A freshwater master plan for Catalina Island’s only municipality could help Avalon provide locals and visitors with a year-round freshwater supply and minimize the effects of California’s cyclical drought conditions. City officials hope a freshwater master plan would eventually be approved to guide Avalon’s water management policy. If enacted, the freshwater master plan would establish 5-, 10- and 20-year goals for maintaining a reliable year-round freshwater supply to Avalon residents, businesses and visitors. The plan would include a financing strategy and an assessment of groundwater supply as well as rainwater sources. The plan was forwarded to the Planning Commission for consideration at the direction of the Avalon City Council; council members briefly reviewed the master plan at their Dec. 20, 2016 meeting. Southern California Edison (SCE) has provided freshwater to Catalina Island since 1962. The utility company manages a desalination plant at Avalon. Avalon is in Stage 3 of its Mandatory Water Conservation program, The Log previously reported. Catalina officials launched a water rationing effort in August 2014; the rationing elevated to the Stage 3 level in September 2016. City staff hopes the proposed freshwater master plan would be included in the Avalon General Plan, which was established in 2013. The freshwater master plan’s intent is to put regulations in place by which the city can encourage SCE to follow. At the Dec. 20 meeting, city staff discussed having a freshwater master plan to not only include 5-, 10- and 20-year goals, but to also be reevaluated and updated every five years to make sure needs of the city are met. “It would be of great benefit to residents and business owners to have such a plan to reassure the community that we will have a long term, stable, reliable and sustainable water source on a year round basis for Avalon,” city staff said. Residents, business owners and the mayor expressed the need to have a plan within the next six months at the more recent City Council meeting held on Jan. 17. As Stage 3 water rationing continues during the slow season, anxiety is rising about what will happen during the summer months. SCE Senior Project Manager, Jeff Lawrence, provided an update on Stage 3 water rationing at the Jan. 17 meeting. The city of Avalon continues to search for effective ways to address the island’s water shortage, and the freshwater master plan is the city’s way of keeping SCE accountable.